Amber Jo & Ross lived together for 8 years without any major problems. Then job loss and mounting medical bills forced the two out of their apartment and they spent a year living in their car. Initially a friend helped them out, but they quickly came to rely on food stamps and the food bank to survive, which helped get them off the streets and into a motel. 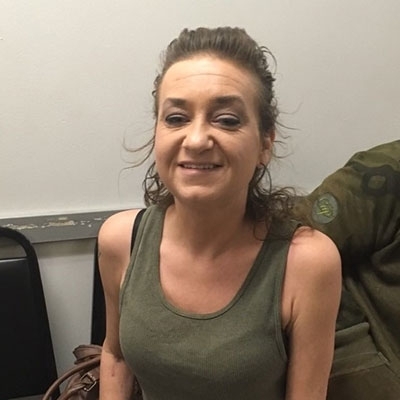 “Getting food stamps has helped us be able to afford to stay in actual housing instead paying all this money to have place and have nothing to eat,” Amber explained. Despite these setbacks, Amber Jo and Ross are certain that they will soon turn things around. They’ve already moved into a motel from their car thanks to food stamps, and are both looking for more work. Amber Jo’s medical issues make work a challenge, but they’re still optimistic. Ross stated, “I am just grateful for everything I receive, I understand that I can’t live off the food bank forever, and I don’t like relying on the food bank to get food. I am thankful for these places and that they are here but I want to move on and do everything on my own real soon…"